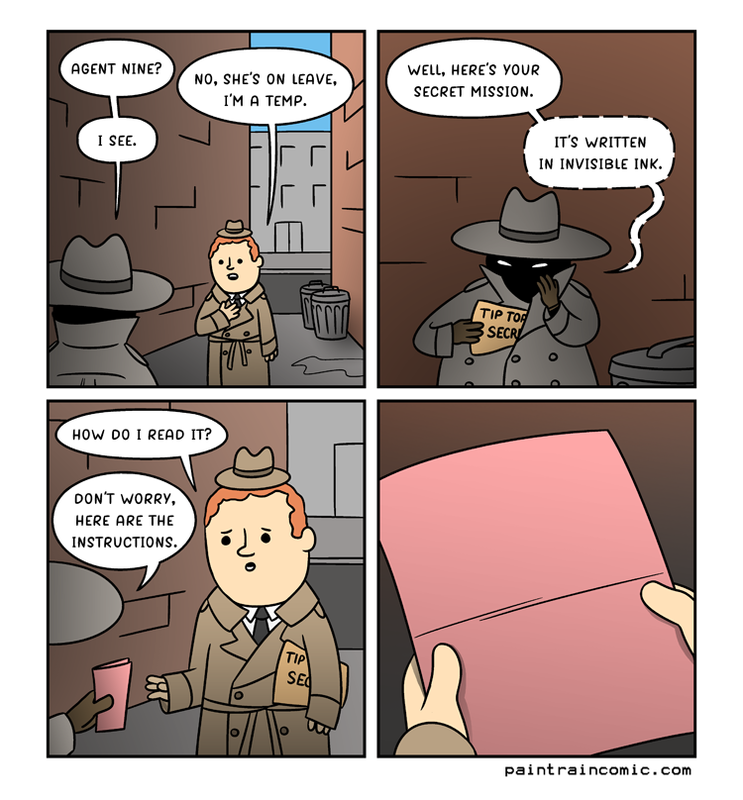 Thanks to @toonholechris for his comic topic suggestion: “Invisible Ink”. He named a lot of good concepts so I’ll probably do more of them! Them of what he said! You can shout subject matter at me via email or twitter or facebook message or tumblr ask and I will probably do it! I’m just that impressionable!